What is HIIT (High Intensity Interval Training) Good For? The benefits of HIIT training are both wide and varied. Even though there are numerous ways to fit it into your program, when it comes to getting the most bang for your fitness and fat loss buck, it doesn’t get more effective. As a short, sharp and intense training protocol, high-intensity interval training gives you power, strength and endurance while at the same time providing a formidable stimulus for shredding fat and preserving lean muscle. The benefits of HIIT training are both potent and fast-acting. Want to know more about how to fit this training system into your exercise program? High-intensity interval training (HIIT) is a type of cardio-based training protocol that alternates between periods of high-intensity work and low-intensity, active recovery. There are a number of different ways to perform it, and in each one, the specific timings of work and recovery differ. They all work along the same premise though – repeated intervals of high and low effort. Each HIIT workout is head down, full throttle and pedal to the metal. It’s not for the faint-hearted and it’s certainly not for the beginner. But if you’ve got a decent foundation of fitness and you’re looking to step your training up a gear then high-intensity interval training should be at the top of your to-do list. 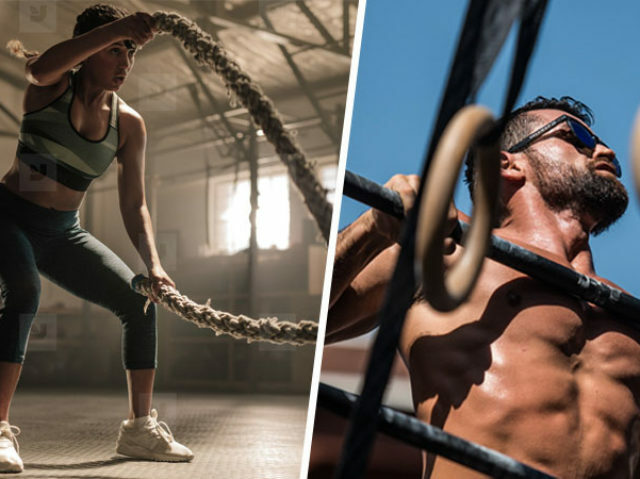 Granted, it’s a physically and mentally tough method of training, but HIIT is one of the most time-efficient ways to get fit and look better. In just 30 minutes you can warm up, blast through some intervals, and cool down again – a lot shorter than some other types of cardio such as low-intensity steady state or long-slow distance training. How Do You Perform HIIT Training? It’s common to take part in interval training using gym equipment such as treadmills, bikes and rowers. As long as the machines let you go all-out and support quick speeds, you can go with whatever you enjoy or feel works best for you. And the beauty of this type of training is that you can do it practically anywhere – you don’t even need specialized equipment either. Body weight circuits, sprinting, jumping and even swimming can all be integrated into your training program with ease. Your body is a complex machine made up of various biological systems and mechanisms. When you move or exercise it has to work hard to release the energy you need to complete whatever you’re asking it to do. Although you get the energy you need from food, your body has to convert it to a compound called adenosine triphosphate (ATP) before it can use it. The energy you get from from carbs, fats and protein are kind of like pound sterling or Canadian dollars, but your body has to club these different currencies together, visit the exchange bureau and convert them to US dollars before you can get the energy you need. That’s where the term ‘energy currency’ comes from. It makes sense that the more energy you need, the more ATP you use. The problem is though that you’ve only got around 3-4 seconds worth of ATP at maximum intensity – that’s not really enough to get through any kind of decent HIIT workout. That’s where energy systems come in. 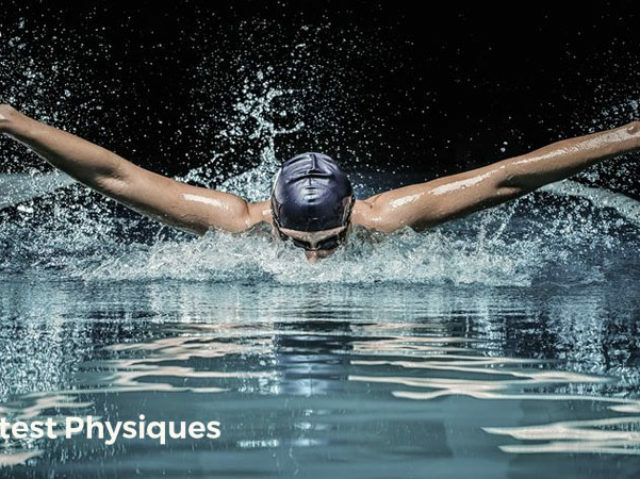 And although the biochemistry behind how your body can regenerate ATP is complex, all you need to know here is that at high intensity, your body relies on anaerobic methods to make more ATP. This simply means that it doesn’t rely on oxygen to produce more energy during HIIT workouts. At ultra high-intensity, your body can make enough ATP to last around 10 seconds before you reach a point of fatigue. It uses an energy system called the phosphocreatine system to make ATP at these mega high intensities. And at moderately high to really high (but not maximum) intensities, your body can make enough ATP to last around 60-120 seconds. It uses a system called anaerobic glycolysis for this. In a short and sweet way, what this means is that you can vary your work intervals for anything between 10 seconds and 2 minutes to challenge your fitness and it’d still be anaerobic. If you can maintain the pace for more than 120 seconds you’re probably not exercising at high-intensity. You can play around with what suits you the most and even use an undulating approach where you vary the work intervals within the same session. But the key point is that it has to be hard work! Unlike steady state which uses aerobic energy, one of the benefits of HIIT training is that it allows you to dip into your anaerobic energy system to really ramp up your fitness. As a general rule of thumb, you’d work on a ratio between 1:1 and 1:3 between work and recovery. One study even worked out that the average, beneficial high-intensity interval length was 30 seconds and recovery sat between 1-5 minutes . It’s worth noting though that there are some interval workouts where your recovery is even shorter than the work intervals… as you’ll soon see! The Benefits of HIIT Training? According to the American College of Sports Medicine (ACSM) the popularity of high-intensity interval training continues to rise. Because it’s so modifiable and can be adapted to suit a range of different people, interval training provides superior benefits to steady state endurance cardio, but in less time. Here is a breakdown of the main benefits of HIIT training. When it comes to benefits of HIIT training, fat loss and changes to body composition that are probably the most well known. Current scientific research shows that when it comes to fat loss, interval training burns fat faster than traditional cardio, making it much more time-efficient. A study published in the Journal of Applied Physiology  found that in as little as 7 HIIT sessions, a group of women were able to increase a number of markers for fatty acid oxidation during exercise – in both whole body and skeletal muscle. The benefits of HIIT training aren’t just restricted to aesthetics. That’s because regular interval training at high intensity forces your heart to pump more blood around your body, your lungs to exchange gases more efficiently and your muscles to take up more nutrients and oxygen. All of this adds up to a big improvement in cardiovascular fitness. One study found that when a group of college students took part in either a steady state or HIIT protocol over 8 weeks, the interval training group that saw the most significant improvements in maximal oxygen uptake and peak power development – both markers of aerobic and anaerobic capacity . Other benefits of HIIT training cross both performance and aesthetic borders. High intensity interval training has been shown to optimize concentrations of two big, anabolic hormones – testosterone and growth hormone. In one study, 15 athletes experienced a significantly higher elevation in testosterone during HIIT training compared to 45-minutes of moderate-intensity cardio . And in another study , a group of cyclists found that 4 weeks of interval training (that’s 8, 30-minute sessions of both high-intensity cycling and a range of lower body strength exercises) increased testosterone levels by nearly 100%. The steady state cardio group which served as a control for the study also increased their anabolic hormone levels – but only by 62%. It’s not only testosterone increases either. When it comes to hormones, the benefits of HIIT training also include an increase in growth factors such as growth hormone and IGF-1 – both regulators of tissue growth and maintenance. A study from the prestigious Journal of Strength and Conditioning Research  reported that during repeated sprint interval training, not only testosterone but also growth hormone as well. Because testosterone and growth factors play an important role in regulating strength, muscle mass, athleticism and stamina, this is a huge benefit for anyone wanting to improve both the way they look and the way they perform. As we’ve already mentioned, it’s wise for you to have built a foundation of fitness before you attempt any of these workouts. You should be able to exercise continuously for no less than 30 minutes at a moderate intensity before you even consider filtering these into your existing workouts. When it comes to fitness, it’s safety first every time. 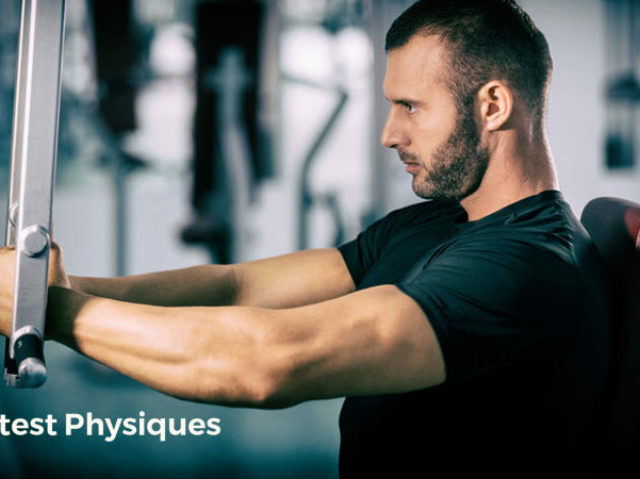 Presuming you’re fit and well and already take part in some form of cardio, you can begin to structure your workout and take part in these challenging sessions. Your higher-intensity intervals should in general be higher than 80% of your maximum heart rate (MHR) and your recovery intervals shouldn’t allow your heart rate to drop below 40-50% of your MHR. From there on, all you need to consider is realistically how well you can perform each workout. There’s no point in picking a type of HIIT session that’s too difficult. 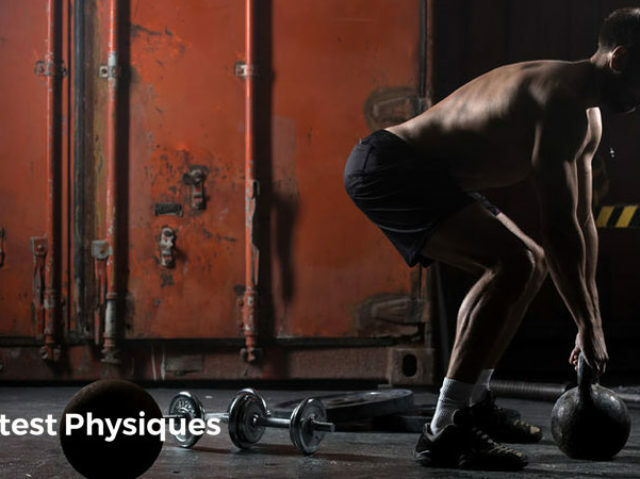 To help you on your way we’ve given you a few examples of different HIIT workouts below. And to make it even easier for you to get started we’ve written them in an order where the easiest workouts appear first and then progressively get tougher. This way you know exactly how you can progress through each stage of difficulty. This is a great place to start becuase it gets you used to the structure and benefits of HIIT training, without the intensity being too high. For this workout you need to choose a piece of cardio equipment such as a treadmill, bike or rower. Alternatively, you can do it outdoors either walking or jogging if you prefer. Often referred to as fartlek training, this method of interval workout gives you the flexibility to change the duration and intensities of each workout as you see fit. This means that you aren’t restricted by work to rest ratios or indeed by specific workloads. The idea is to change every single facet of the machine on a regular basis, but going more by ‘feel’ rather than time. It’s fun and challenging in equal manner and really suits those that are willing to push themselves under their own motivation. Literally just make it up as you go along – but remember you have to make it a tough session to really get the benefits. Do you love the feel of agonizing, intense burning in your legs? Great, you’ll love this one then. Lactate intervals trigger anaerobic glycolysis ATP regeneration so take place at a high but not maximal intensity. The problem is though that when ATP is formed using this system your blood acidity rises quickly. And without the presence of oxygen there to neutralize it, it’s going to get pretty sore, pretty quickly. Lactate intervals have been found to be the best HIIT system to elevate growth factors in the blood and consequently can be a great way to shred fat and build muscle at the same time. It works great on exercise bikes. This short and sharp workout gives you all the benefits of HIIT training, in the quickest time possible. ‘Sprints’ triggers ATP production using the phosphocreatine system which doesn’t give you the horrible burning sensation of lactate intervals – but it’s equally just as tough because of the strain on your nervous system. It works well out on the field, incorporating running sprints into your program. Finally we’ve got Tabata, the birth child of Japanese researcher Izumi Tabata. Repeat until you’ve completed 8 intervals in total – that’s a 4-minute workout. Sounds easy, but because your recovery time is shorter than the work duration you’re really testing your cardio ability. The beauty of this type of interval training is that although the original research was conducted on bikes, you can utilize a body weight circuit really well. Push-ups, jump squats, burpees, tuck jumps and pull-ups work particularly well.